A new viola made from American Sycamore. 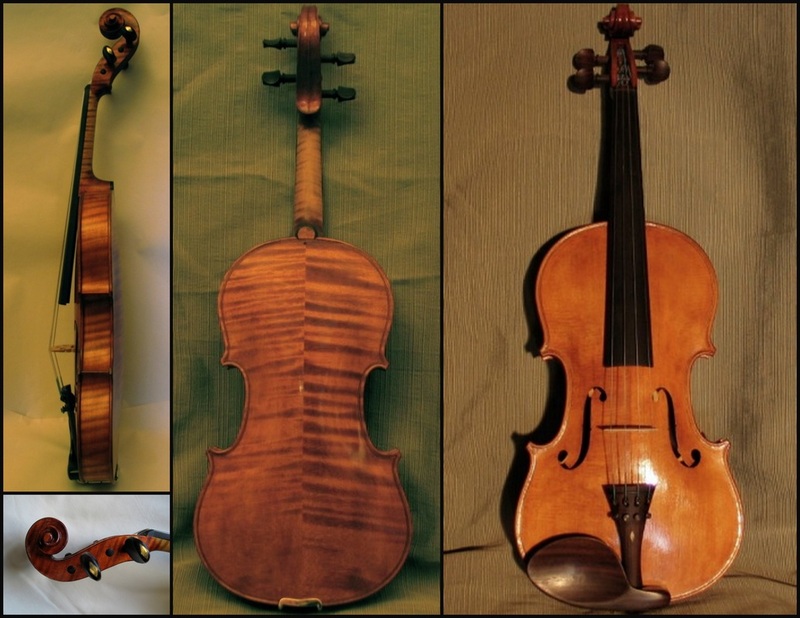 These are pictures of a violin in the final stages of varnishing. It is for a customer who wants something extra fancy. It boasts custom designed ff holes, relief carvings on the scroll and double purfling on the top and back. In addition, it will be fitted with a pernambuco fingerboard and pegs. 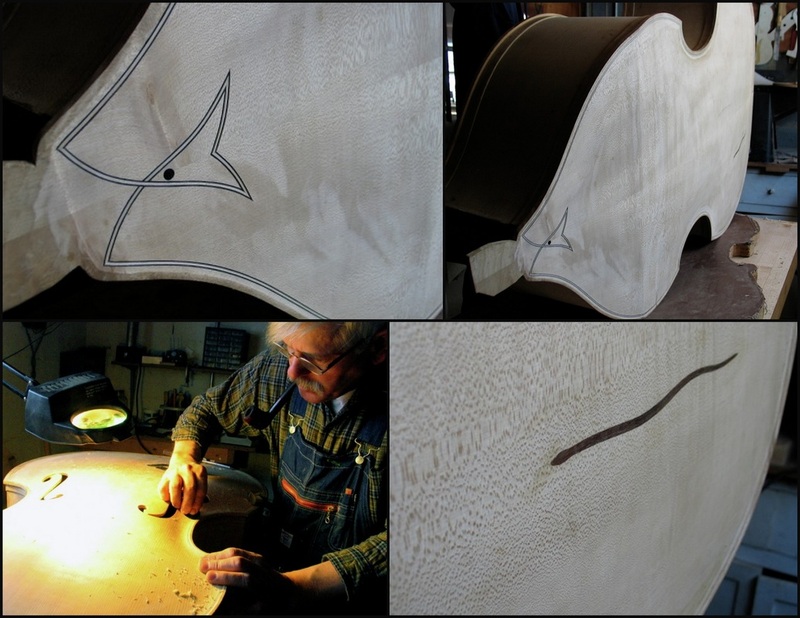 After several years, Alfred's second double bass, the "snake bass" is complete and waiting for a buyer. This bass has a focused tone with a strong low end. It has a sweet, singing quality under the bow. 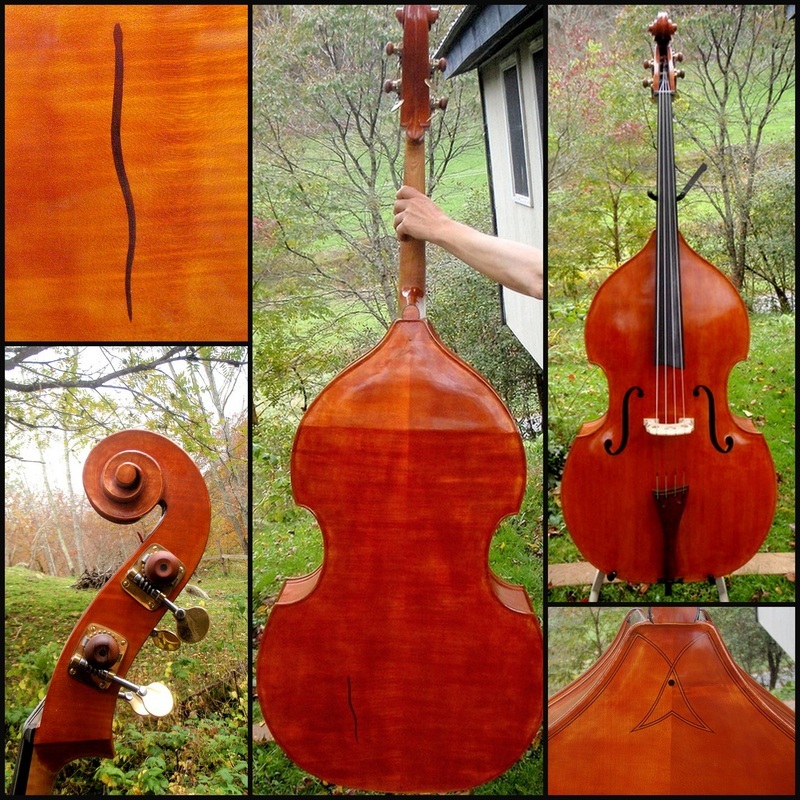 This would be a great bass for a Jazz, Orchestral or Solo player. If interested, please contact us for more information. 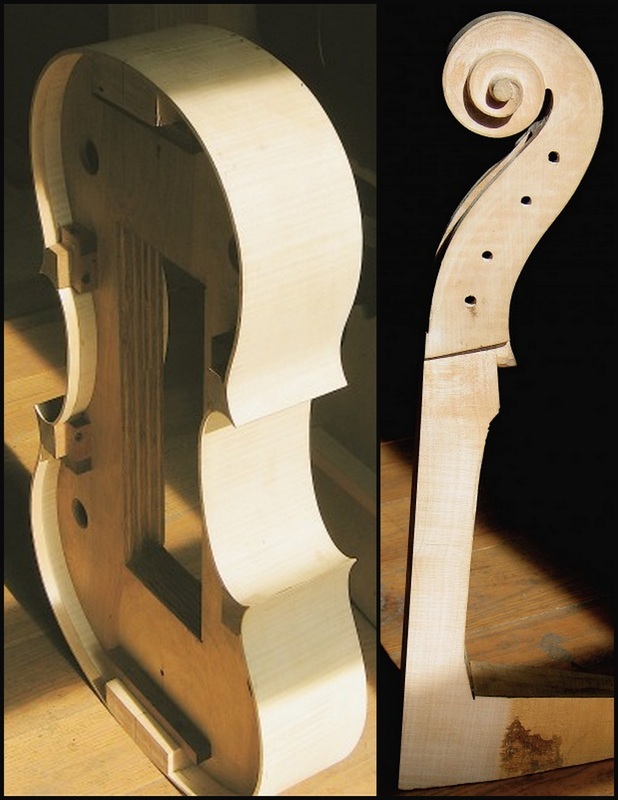 A new cello is in the works: The scroll is roughed out and the rib garland is assembled on the form.